The subject of the film is an Austin, TX institution, Lord's Gym, which was founded sixteen years ago by Richard Lord, a former professional boxer. 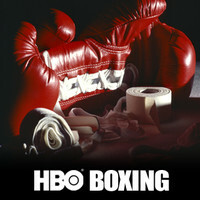 A wide variety of people of all ages, races, ethnicities and social classes train at the gym: men, women, children, doctors, lawyers, judges, business men and women, immigrants, professional boxers and people who want to become professional boxers alongside amateurs who love the sport and teenagers who are trying to develop strength and assertiveness. The gym is an example of the American "melting pot" where people meet, talk, and train. Pugilists and philosophers of all kinds converge in Frederick Wiseman's mesmerizing documentary. We see multiple iterations of all manner of drills, and one of the pleasures of this film is that it understands that the more you look at something, the more mysterious and beautiful it becomes. There's no disputing the cumulative authority of Wiseman's ongoing Human Comedy or ignoring the influence that his epic observational style has had on fiction filmmakers. Even with no traditional narrative, there are wonderful discoveries to be made in Wiseman's film, which is a nice complement to the experienced director's ballet-themed last feature, "La Danse: The Paris Opera Ballet."